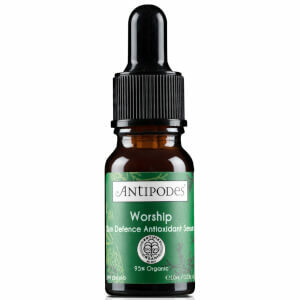 Bestow skin with a burst of hydration with the Divine Face Oil from Antipodes, an organic skincare brand from New Zealand that prides itself on being nature-conscious and aspires to the lightest of carbon footprints. Delicately fragranced with a pure plant scent that combines Jasmine with sweet Orange, the nutrient-dense face oil is composed of a blend of skin-enhancing Antipodean bioactives sustainably sourced from New Zealand’s pristine natural rainforests. Avocado, Rosehip and Macadamia Nut oils work in synergy to contribute anti-ageing action, minimising the appearance of fine lines, wrinkles, age spots and scarring through boosted skin regeneration, whilst preventing further ageing and damage with essential fatty acids. 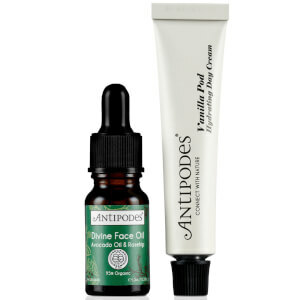 Scientifically-proven to stimulate collagen synthesis in skin cells by up to 92%, the facial oil effectively replenishes lost collagen required to maintain a youthful-looking complexion. Apply at sunset by caressing into your face, neck and décolletage after cleansing and toning. 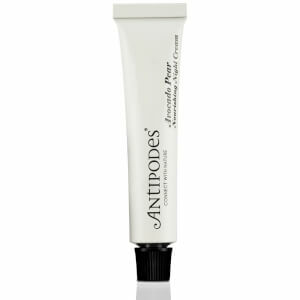 Use night after night for ultimate revitalisation. Aqua (Water), Butyrospermum Parkii (Shea) Butter, Squalane (Vegetable) Extract, Persea Gratissima (Avocado) Oil, Leptospermum Scoparium Mel (Active 20+ Manuka) Honey, Macadamia Ternifolia (Macadamia Nut) Oil, Calendula Officinalis (Calendula) Oil, Cocos Nucifera (Coconut) Oil, Cetearyl Olivate, Sorbitan Olivate, Lecithin (Vegetable) Extract, Gluconolactone, Sodium Benzoate, Calcium Gluconate, Vitis Vinifera (Vinanza® Grapegrape Seed) Extract, Tocopherol (Vitamin E), Essential Oil Fragrances Of Sandalwood, Ylang Ylang And Patchouli: Benzyl Benzoate†, Benzyl Salicylate†, Citral†, D-Limonene†, Linalool†, Eugenol†, Farnesol†, Geraniol†, Isoeugenol†. 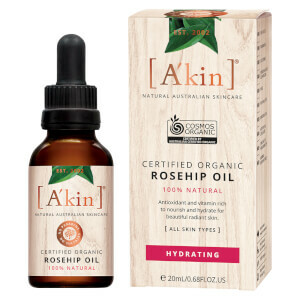 Save 20% on selected A'kin. Discount has been applied to the RRP. Offer valid for a limited time only. Just love this oil. Bought a small size to try first as I have sensitive dry skin. I use every night, my skin feels instantly moisturised, it is a nice light oil and absorbs quickly, so could be used am too. This is definitely a permanent in my skin care routine now .